was a dirt road not that long ago, it is now paved, as are the primary roads in the larger subdivisions. Many of the lots feature views of the namesake lake (actually a reservoir), Crested Butte Mountain Resort, or up-valley to peaks such as Baldy and Gothic. The upper lots are nestled in a mature aspen forest with terrific afternoon sunlight. Snowmobiling, cross-country skiing, hiking (including private access to the Snodgrass trail in some cases), biking and more are all right outside your door from Meridian Lake. A short hike will bring you to the mile-long shores of Long Lake (actually the Meridian Lake, but locally people call it Long Lake, while the reservoir below has become known as Meridian Lake). Either way, Long Lake is one of Crested Butte’s most popular and scenic summertime destinations. The area consists of a number of subdivisions, including Meridian Lake Park, Meridian Lake Meadows, Pristine Point, and Smith Hill Ranches. Combining the peace and quiet of a smaller subdivision with thousands of acres of national forest surrounding it, while still being close to both Crested Butte and Crested Butte Mountain Resort, Meridian Lake is one of Crested Butte’s finest real estate offerings. Real estate in this area is more affordable than one might think, so it’s worth considering as an alternative to neighborhoods such as Crested Butte South. To learn more about buying or selling a home in Meridian Lake, feel free to contact me anytime. Meridian Lake Crested Butte real estate information including area video, map, descriptions, and current properties for sale. 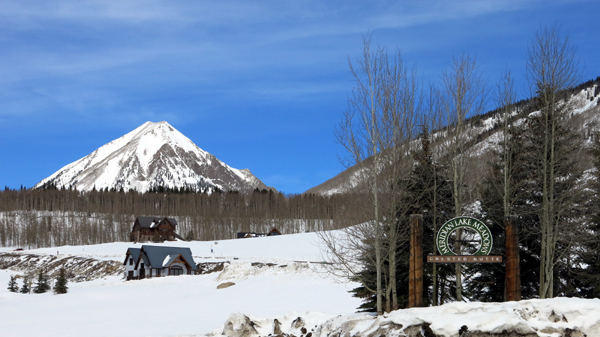 Get detailed info on Crested Butte neighborhoods.